It is estimated there are over 12,000 spoken languages and dialects in the world. 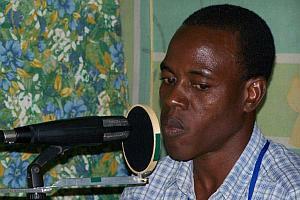 GRN has recorded gospel messages and/or basic Bible teaching in more than 6,000 of them. Most are available for free download! Just search for the language you want, and see what material is available. Find out about other resources for ministry available from GRN. See the books from GRN for great missionary stories and devotionals. See also the Tech Depot for additional technical information and training materials. People can't stop listening to GRN Recordings - Read testimonials from around the world about how effective GRN recordings are for teaching bible stories and evangelism.